Baby Moon Pawprints, Pink Berry and Hobbes! 1st Place: Jeng Mamiit "On Top of the Food Chain"
Humans are seen as "on top of the food chain," but that doesn't mean that we should neglect everything else around in our environment. Our families, including our furkids, should learn that we should respect all forms of life - be it the birds in the air, the fish in the sea, or the other dogs and cats in the neighborhood. 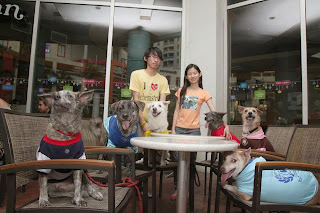 Parents should teach their kids that we should help stray animals, not be disgusted of them. Similarly, we should trach our furkids that not everything can be a chew toy - they should respect all other life forms, including birds, fish, cats and dogs. 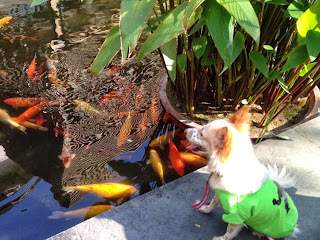 This is a picture of our beloved furkid Leo enjoying the company of the fish in Greenbelt park's pond. He is gentle and caring for all forms of life, just as we taught him. 2nd Place: Regina Mercado "It All Comes Around"
On the left side of the photo are the children of our dog who recently passed away. 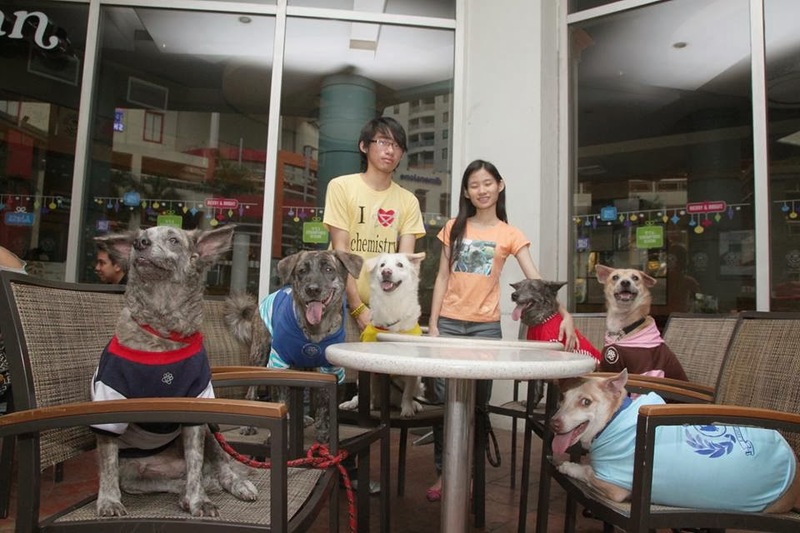 By giving birth to these dogs, it shows continuation of life. Here we go out to celebrate life once in a while. 3rd Place: (Name unknown) This entry is from the Greenbelt Chapel. Her identity will be given once the GBC circular is out.